The bulk of Paternoster's planning before buying the British Woolworth had focused on its real estate and its B&Q subsidiary. But the new owners soon came to realise that the main business itself merited attention. It had profit-making potential in its own right. New Executives were set to work analysing the strengths and weaknesses of the stores and - with help from Consultants - mapping out a new future. The Cornerstone Strategy which they devised would have seen the retailer become better at what it already did. But just a year after it was adopted it was abandonned for something altogether more radical. Paternoster hired management consultants to take a long, hard look at their new acquisition and propose a new strategy for Woolworth UK. The result was the 'Cornerstone Strategy', a plan to re-shape the business for the 1980s. It was shaed widely with store personnel. The communication package included a video by the Directors, and a presentation pack for District Managers, who were to host Q & A sessions afterwards. The Chairman and CEO, John Beckett, fronted the video. He explained that the High Street had modernised during the 1960s and 1970s, leaving Woolworth behind. Disposable incomes had risen. Two-thirds of shoppers had access to a car and had started to vote with their feet, travelling further afield to obtain the best value. The Marketing Director, Colin Brown, set out two options that had been considered, which he called 'single core' or 'multi-core' strategies. The former would make Woolworth a specialist in a single product category, and had been rejected as too risky as it would not suit the larger stores. The multi-core strategy had much more potential. Ranges would be thinned down to six 'cornerstone' product categories. The offer would target "C1/C2" middle income shoppers, offering basic, good quality products at highly competitive prices. Aspirational, design-led lines would go. Prices would be lower, with most of the range below £5. The strategy would suit stores of up to 20,000 square feet (1,858 m2). 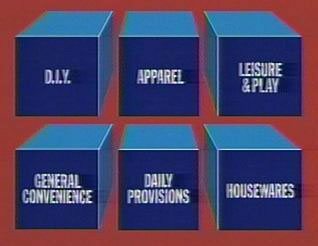 There would be extra categories for the fifty stores which were larger. As a first step, Brown announced an exercise to reduce clutter and clear old stock. The Marketing Director went on to explain that four of the six cornerstones built on established strengths. The chain would develop its offer of DIY, Leisure and Play, Homewares and General Convenience. The remaining two elements would require more of a stretch, as Woolworth attempted to build improved ranges of Clothing and Daily Provisions. DIY built on an existing strength. At the time the chain enjoyed market leadership on hardware and tools, electrical accessories (principally from Astralec Industries and HH Electrical), paint (branded Cover Plus from Donald Macpherson and Company) and curtain track (from Harrison Drape). 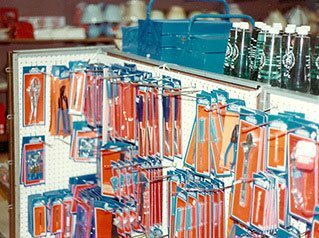 Although out-of-town DIY stores were becoming popular (including Woolworth's own B&Q Supercentres), the majority of purchases were still made in the High Street. The cornerstone strategy would extend the range of tools and hardware and give it more space. A much bigger challenge would be to establish the company as a major fashion retailer. Attempts to break into 'Apparel' during the 1970s had not been very successful, with the company targeting designer-style fashion in the High Street and falling some way short of the offerings of Marks and Spencer and C&A. The new goal was to concentrate on the basics, offering decent fashion at highly competitive prices. 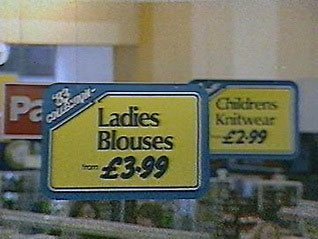 Woolworth would offer clothes for all the family. It was believed that the most difficult part would be to attract shoppers to a new range of babywear. Because of the risks, initially clothes for the the under fives would only be sold in the largest stores. Leisure and Play built on the established strength as the market leader in toys, fishing and darts. It would continue to build the share of chart music. Each range would be expanded and get more space. The Record Department had special potenital. More space would be given to cassettes, and there would also be computers and games. 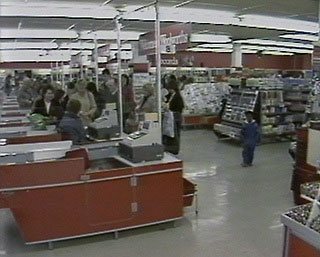 Woolies would stock three top home computers, the Sinclair Spectrum 48k, the Vic 20 and the Commodore 64, as well as software and games to run on them. Everything would be displayed on stylish, new purpose-made fixtures. Colin Brown explained that the Board saw General Convenience as a key springboard. He believed that the stores would excel once the clutter was removed. Customers would then appreciate the quality and value of the range. He reiterated that the goal was to offer good value on things that shoppers bought regularly. The space that had previously been used for aspirational, luxury products would be given over to faster sellers. This would allow the Woolworth value to shine through and would help to restore the mass-market appeal of the Woolworth brand. The Daily Provisions cornerstone was recognised to be a big challenge. 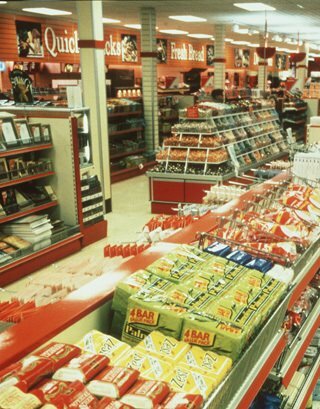 It comprised not only a convenience store range of grocery but also weigh-out delicatessen in the larger stores, and even cigarettes and tobacco. 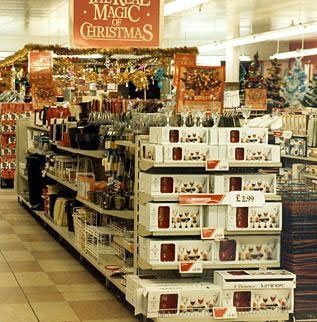 Despite the company's poor showing in this market in the 1970s, the cornerstone strategy considered such ranges essential to build daily shopper numbers. It set out a major investment programme which was intended to modernise the facilities both on the salesfloors and behind the scenes. A group of twenty stores was identified to pioneer the new approach. Each got a full refurbishment and re-opened with a new delicatessen counter, a grocery section and an up-scale offer of bread, cakes and take-away food. With this investment the offer looked credible and started to build sales, in marked contrast to run-down suburban stores like Catford in South East London, which is illustrated above. The final cornerstone was Homewares and Household Goods. 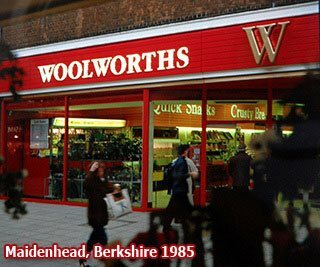 This had been a longstanding strength for Woolworths. While the Board's strategic review had noted that the overall market was in decline, it remained huge. The existing Woolworth range look drab and tired. It was believed that a makeover could soon restore the chain's fortunes in this area, offering up-to-date basic designs at rock bottom prices. An early example of this policy in action was the decision to switch from dark brown buckets and bowls to fashionable red and buttermilk shades. Both Store Managers and Head Office personnel were encouraged by the presentation. They accepted the need for change, and saw the sense in weeding out the poor sellers while building on the strengths that had been developed in the Seventies. All agreed it made sense to clear dead stock and release the cash to reinvest. They flocked in droves to see the new-look stores, badged 'Woolworths' for the first time. Most left uplifted and hopeful. But the new Strategy was dead in the water. 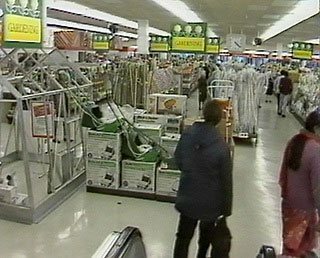 A hostile bid from Dixons contrasted the high returns from B&Q with the slow turnaround at Woolworth, forcing the Board to find a cheaper, more radical solution. So after just two years, new Delicatessen Counters were thrown out, as the stores implemented Operation Focus.